Indulge in a hair revival treatment regime with the Moroccanoil Original Treatment and Intense Hydrating Mask Set. Presented in a sleek gift box, the set combines the Original Treatment, the product that pioneered oil-infused hair care and created the worldwide buzz on Argan Oil, with a deeply penetrating moisturising hair mask. Use in synergy and expect smooth, radiant and nourished tresses. 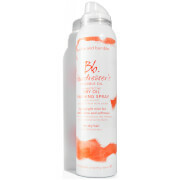 A high-performance, rich and creamy deep-conditioning mask formulated for medium to thick, dry hair. Infused with antioxidant-rich Argan Oil and nourishing ingredients, it hydrates and conditions while dramatically improving hair's texture, elasticity, shine and manageability. 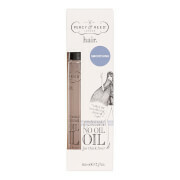 Oil: Apply small amount to damp hair. Mask: Apply generous amount to towel try hair, leave for 5-7 mins and comb through. Oil: Cyclomethicone, Dimethicone, Argania Spinosa (Argan) Kernel Oil, Parfum/Fragrance, Linum Usitatissimum (Linseed) Seed Extract, Ci 26100 (Red 17), C1 47000 (Yellow11). 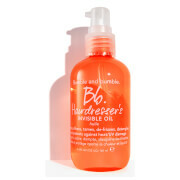 Been using this product for 10 years now wouldn’t use anything else love it my hair does too.